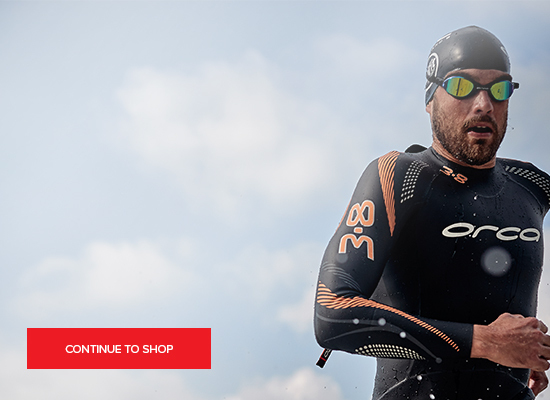 If you are looking to buy a new wetsuit then you can buy with confidence from MyTriathlon. We offer a varied range of wetsuits from the most trusted brands in sport (HUUb, 2XU, Orca, BlueSeventy, Zone3). This is available on a wide range of wetsuits. If you purchase one of the selected suits* and return it within 24 months, we will credit you for the used suit and you can then upgrade to a new suit of your choice. The wetsuit must be returned to our warehouse within 24 months of purchase. The suit must be in good condition with no marks or nicks/nail marks. If there is any minor damage we may still be able to make a reduced offer. The credit will be based upon the full retail price as quoted at the time of purchase. The credit will be 50% of the full retail less any discount (the difference between full retail and price paid). The credit can only be used for a NEW wetsuit from MyTriathlon. If you did not buy your wetsuit from us we will still be able to make you an offer. There are two main options: Either you return the suit to us before you buy a new one or purchase a new suit and return your old suit afterwards. Should you want any advice or information – please call us on 0207 183 4116. We can provide expert advice on size, buoyancy requirements and wetsuit features as well as give you guidance on the best suit to meet your swimming level and individual needs. For this option we will credit the agreed amount to your MyTriathlon account once you have returned your wetsuit to us. This store credit can then be used towards the purchase of a new suit. Buy a new wetsuit from MyTriathlon. Then return your old wetsuit. We will then credit the agreed amount to your MyTriathlon account. You can then use this to buy any additional products from us that you may need.